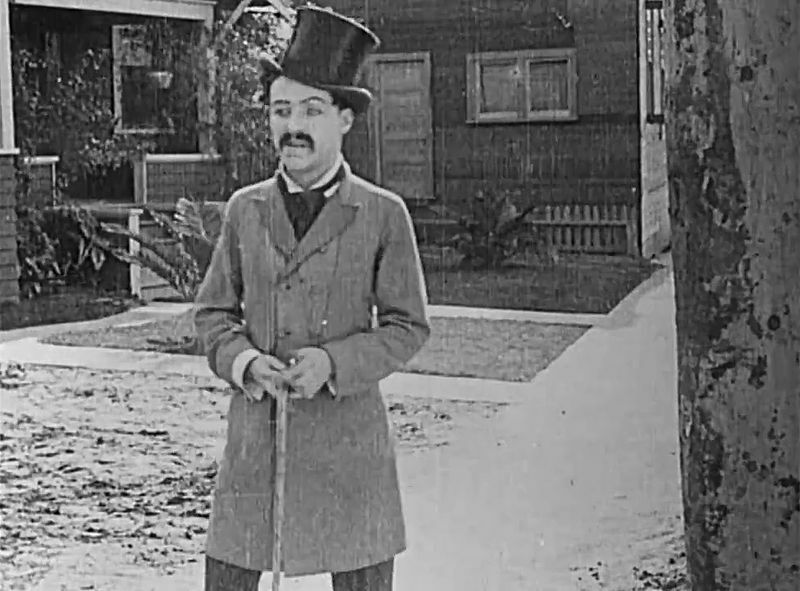 This collection of Charlie Chaplin’s first year in Hollywood is surprisingly complete – and very interesting. You can see as he refines the persona of the “Little Tramp” and the nuances of his performance, but you can also watch several early experiments that maybe didn’t succeed as brilliantly. Chaplin once said that the three necessary elements of a Keystone comedy were “a girl, a park, and a policeman,” and you will see all three in abundance. Perhaps every movie has at least one of those elements, many have two, but really less than half have all three. In general, camera moves are rare, and intercutting is minimal, but there is an interesting ability of the different scenes to interact with one another, as Charlie throws a brick out of camera range in one shot, only to have his adversary duck it in the next shot, and finally in a third shot it collides with a hapless policeman or innocent bystander. Includes Chaplin’s first movie as “the Little Tramp:” “Kid Auto Races at Venice” as well as “Mabel at the Wheel” and “Tillie’s Punctured Romance” and many more. And, yes, for those who were curious, the policemen were frequently played by the famous “Keystone Kops,” who at various times were rivals with Chaplin as comic stars.